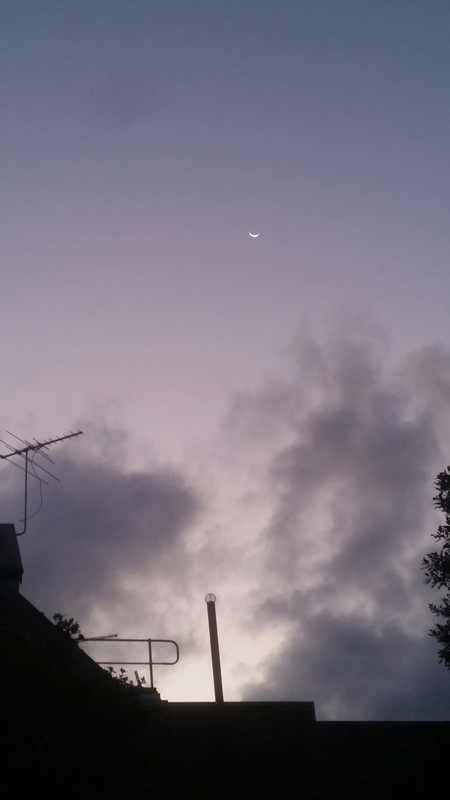 It’s a crescent moon in a darkening sky and later will come a southern cross, faint to city eyes. She doesn’t like it when I give them names. Life is literal as a two-year-old.